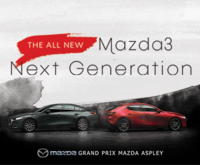 This October at Grand Prix Mazda Aspley - one man, and his team, will bring you unbeatable deals you won’t want to miss! 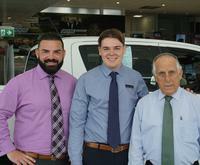 Luke Camilleri – his mission – The Stocktober Clearance Sale. Across the month of October, we’re hosting 4 explosive sales with massive blockbuster deals! 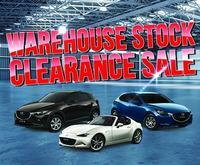 All cars, in all ranges are priced to clear. You can also expect 5-year unlimited kilometre warranty on all vehicles. You’ll need to strap yourself in, these deals are BIG! Are you searching for the Mazda of your dreams? Mazda’s signature KODO ‘Soul of Motion’ Design captures the power and grace of an animal leaping into motion. Striking from every angle, every curve and plane on our sensual Mazda’s are designed to evoke a sense of dynamic movement. Whether you’re looking for something roomier, something stylish, but small; or, maybe you’re after something zoomier? No matter what you’re searching for, the Stocktober Clearance Sale has what you need. 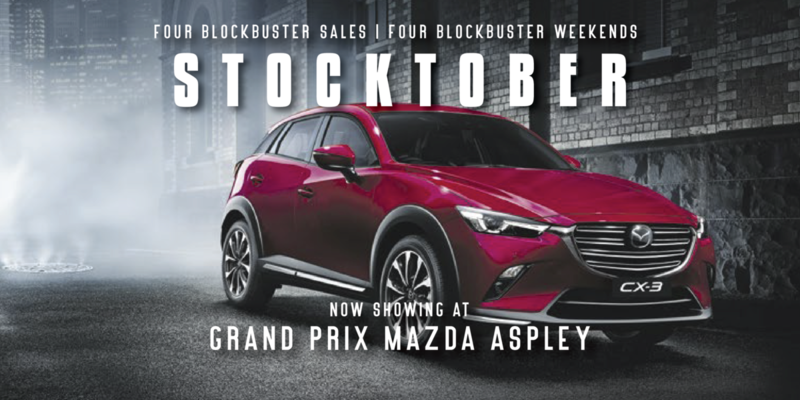 Make sure you set your destination to Grand Prix Mazda Aspley this October. But, hurry! The explosive Stocktober Clearance Sale is set to detonate come November. These 4 explosive sales are not to be missed. If you thought you had seen it all, look again!